Brian’s note: I met Dr. Barry Gillespie earlier this year, and he has opened my eyes to craniosacral fascial therapy, which he created. Dr. Gillespie is aware of my ongoing Bates Method practice and revealed to me that he was successful in reversing his own suboptimal vision solely through this therapy. In the past two months, I’ve been learning lots about this therapy, which is helping me improve my vision, reverse lifelong strain in my neck and enable my brain to “breathe.” This neck strain has contributed to my nearsightedness. Dr. Barry Gillespie began his professional career as a periodontist. Because of suffering from headaches and sinus infections, which his medical doctors could not help resolve, he began his own healing journey into integrative approaches. His union of craniosacral and fascial therapies with his dental background provided him with an effective therapeutic combination to triumph over his conditions. In his TMJ/periodontal practice, Gillespie successfully applied these modalities to patients suffering from TMJ and headaches. 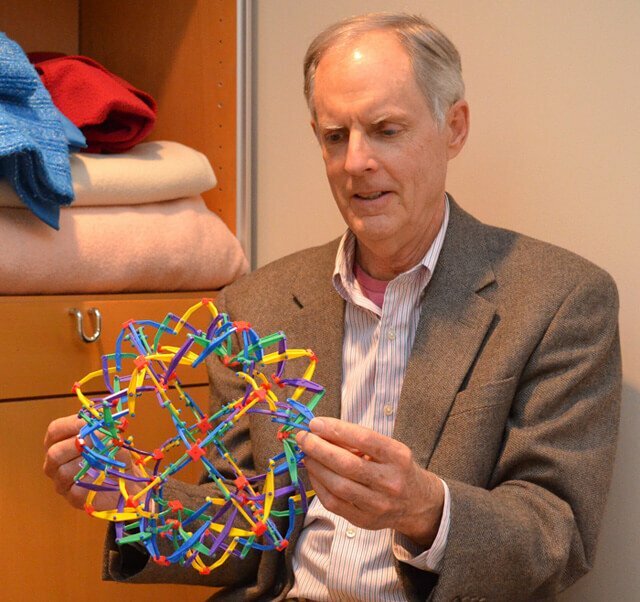 Gillespie’s work with babies showed him that many health conditions could not only be prevented but that children could positively thrive with their enhanced cognitive abilities. Gillespie later developed the Baby Brain Score for screening purposes to determine whether craniosacral fascial therapy need be administered at birth. Gillespie and his students have worked with thousands of newborns, children and adults, helping prevent and reverse health conditions such as allergies, asthma, headaches, migraines and physical pain. 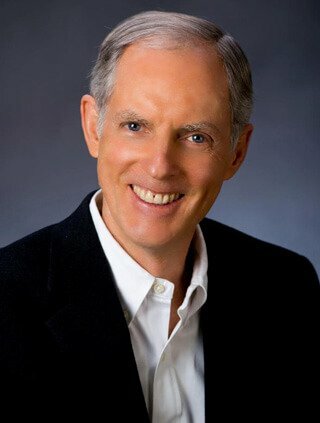 Gillespie is the author of Healing Your Child and The Brain Score Approach. 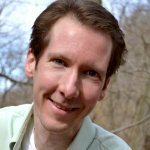 The “Baby Discoveries” section of his website, GillespieApproach.com, contains his latest research. Gillespie, who has enjoyed a vegan diet since 1980, plans to spend the rest of his life helping heal the children of the world. He practices the Gillespie Approach in King of Prussia, Pennsylvania, where he welcomes patients the world over. Dr. Gillespie answers questions by Brian Rossiter in this Spotlight interview. What is craniosacral fascial therapy, also known as CFT, and how and when did you create this therapeutic modality? Craniosacral fascial therapy is a combination of craniosacral and fascial work. Craniosacral therapy is a hands-on practice designed to enable the brain to expand and contract and cerebrospinal fluid to flow freely—as is their natural states—enhancing the function of the central nervous system. Fascia work involves freeing a whole-body connective-tissue web that can apply tremendous pressure to the nerves, muscles, organs and bones. I created this therapy in the late ’70s to early ’80s and have been developing it since then. How long did it take for craniosacral fascial therapy, practiced on you, to reverse your suffering from regular headaches and sinus infections? Pretty quickly. It was two to three weeks of therapy. Your work with children in 1980 led you to discover that pediatric diseases—from asthma, earaches and scoliosis to learning disorders and ADHD—were based on the function of the craniosacral fascial system. In the 1980s, you had another realization involving your work with babies. What was this and how has it shaped the focus of your career? What happened in 1980 was that a young boy came into my office, suffering from headaches. It was around the fifth visit, and I asked his mother, “How’s he doing?” She said, “He’s doing great. 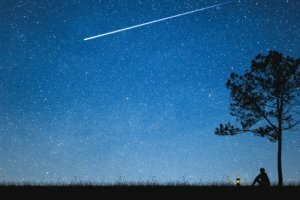 Not only are his headaches gone but his sinuses are open, his earaches are gone and his asthma’s gone.” What I didn’t realize, at this time, was that this therapy would be effective for anything other than headaches. Since he came in, I started looking at other children and finding out what conditions they had. I learned that CFT was very effective for asthma, earaches, ADHD and a lot of common childhood diseases. When I started seeing babies in the 1980s and ’90s, I found that I never saw them again. The mothers would say: “They’re healthy and in school and go to the doctor for checkups, and they’re fine. They get a cold once in a while, but they don’t really get too sick.” That’s when I realized that not only was the work great with children who had contracted diseases but that it could be effective for infants to possibly prevent these same conditions. What is fetal and birth trauma and how widespread of an issue is this? Would you argue it’s more of an issue today, with people living increasingly busier lives? It’s a serious issue. I can cite a research study by my mentor, Dr. Viola Frymann. She did a hospital study in Minnesota in 1966 that was published in The Journal of the American Osteopathic Association. She saw 1,250 newborns and found out that 90 percent had craniosacral strain patterns. Only 10 percent were relatively normal. So if you extrapolate that to the general population, we’re looking at just about every baby may have craniosacral fascial strain in their bodies. It can cause conditions like nursing issues, colic, reflux, indigestion, constipation and gas, and the usual fussiness issues that many, many mothers and parents see with their little ones. It could be that people are affected more because we’re living longer lives and taking better care of ourselves, but the problem is that the trauma that we may have suffered at birth—this could be in utero or during labor—does not go away. We’re still living with those strain patterns. What we need to do is address them right at birth so newborns don’t have to suffer their whole lives. In the olden days, in 1900, the average American lifespan was 49 years of age. Now, it’s close to maybe 78 or 79. So we’re living longer, and we’re trapped in these strain patterns that are possibly affecting us. 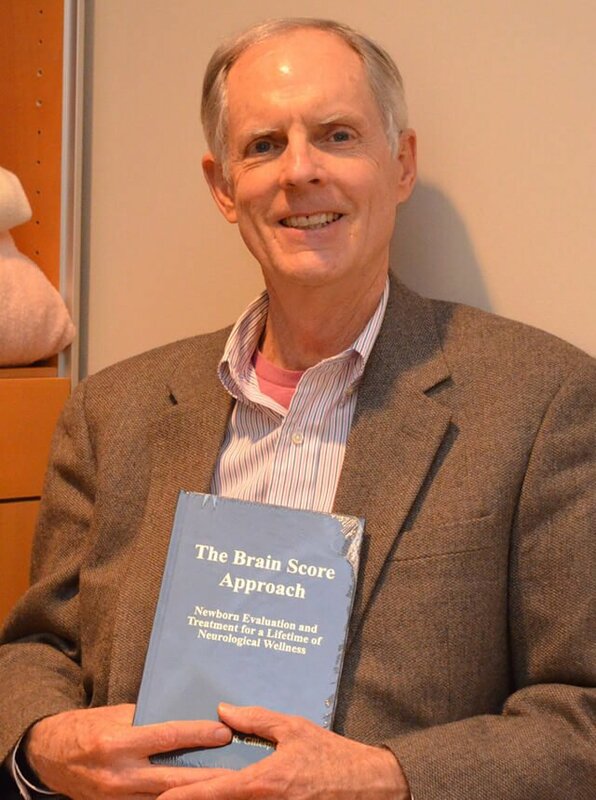 Dr. Barry Gillespie holds a copy of his book The Brain Score Approach. His latest work is published on his website, GillespieApproach.com. Are any other species affected by craniosacral and fascial strain? Cats and dogs and other animals have strain patterns that cause issues. Please describe the Baby Brain Score (BBS), which you and your team developed, and how it ties in with craniosacral fascial therapy. I started working on the Baby Brain Score in 2006. We looked at Apgar scores. These are taken at hospitals every one minute and five minutes to let the birthing professionals know that the vital signs are great, the heart’s working well, the lungs are working well, the muscles are fine and that your baby is good to go. When I looked at these scores, though, there was nothing about how well the brain is functioning, which could possibly determine the quality of life. Checking the umbilical cord to determine whether it is wrapped around the body, including the throat. Checking the shape of the head to determine whether it is nice and symmetrical or distorted in any way. It is these four components that would let us know right within the first few minutes of a baby’s life if there could be a potential nervous system problem with your newborn. In a perfect world, we would check everyone at birth, and if there was an issue—if the Baby Brain Score wasn’t a perfect “8”—then that would tell us we need to do CFT. So you would get your first therapy visit at 10 minutes old to mitigate the birth trauma you had over the previous nine months. Can you paint a picture so readers understand what a craniosacral fascial therapy treatment involves? Can you offer an estimate as to how much session time is generally needed for a person to achieve optimal cognitive enhancement? Usually a session runs a half an hour, and what I’ll do is listen to the body to find out where you’re tight. I’ll start to feel your body free up and loosen. If you think of the craniosacral fascial system as a tight spring, I’m just holding one end of the spring or both ends of the spring, and I’m letting you unwind and letting your body loosen up. Dr. Barry Gillespie demonstrates how the brain “breathes” by contracting and expanding. Basically, we see people who are restricted, and even after a visit or two or three, we may see some cognitive improvement. There may be less pressure in your head, your neck may feel better, you may think a little more clearly. As the nervous system opens up, you may be able to feel changes fairly quickly. You reversed your reliance on corrective lenses by enhancing your vision all the way to 20/15 vision from 20/120 vision. Did you practice the Bates Method or solely receive craniosacral fascial therapy? Also, what is your finding regarding glasses with metal frames across the forehead? 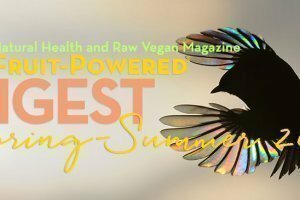 I received only CFT and also have been a vegan for, now, 35 years and juice every morning. I think my diet had something to do with this improvement, too. We found that glasses with metal frames may restrict brain function. How has this lifestyle played a role in your healing and mission to ensure all newborns receive the BBS–CFT treatment at birth? I’ve written three books, and if I ever were to write a fourth book, I would title it Tight and Toxic. Americans are tight, and their bodies are tight. They put fluids, foods and other materials into their bodies, making them toxic. If you can start to free up the body so it can start to get rid of the toxins, and if you put good food in to also help get rid of the bad stuff, I think that’s a good combination to help our bodies function pretty well. 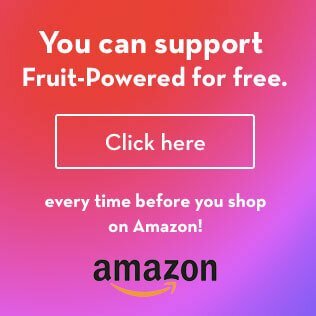 This part especially would appeal to Fruit-Powered Digest readers because of its connection with fruit. You mentioned that out of thousands you’ve worked with, this interviewer has shown the most rapid results in terms of an increasing number of brain cycles, or the expansion and contraction of the brain. Would you say my clean diet is key to my strides? Yes. 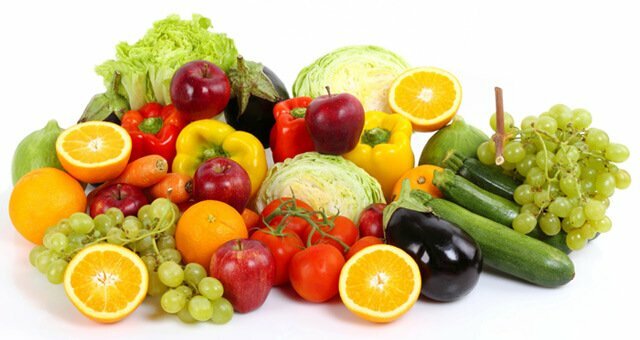 You can eat from the Garden of Eden, but if your body is tight, you may not have optimum health. Usually, most Americans and others I see on the planet are toxic, and they don’t open up as quickly. But you have been on a very clean diet, and these people usually open up very quickly. Their bodies can heal faster. That’s what I see, as a general rule. You teach craniosacral fascial therapy and are passionate about all birthing professionals administering the BBS–CFT treatment on newborns. For those who are interested in learning more about this work and possibly practicing it, what credentials are needed? People may take my seminar without medical credentials. A lot of moms take my class to work on their children. As far as birthing professionals, we have lactation consultants, neonatal physical therapists, neonatal occupational therapists and nurses. We don’t do any credentialing, we don’t do any certification and we don’t do any licensing. Virtually anybody can take the class. A massage license or another license to touch would be needed to practice professionally. The first class is our basic adult-child class, and our second class involves instruction on how to work on toddlers and infants. Please go to GillespieApproach.com for more info. ALWAYS AMAZING NEWSLETTER AND INFORMATION. I’D LOVE TO VISIT DR GILLESPIE! Hi, Clare! Thanks so much! Yes, Dr. Gillespie would be happy to see you.